Happy New Year! Stay Stuffing in 2019! 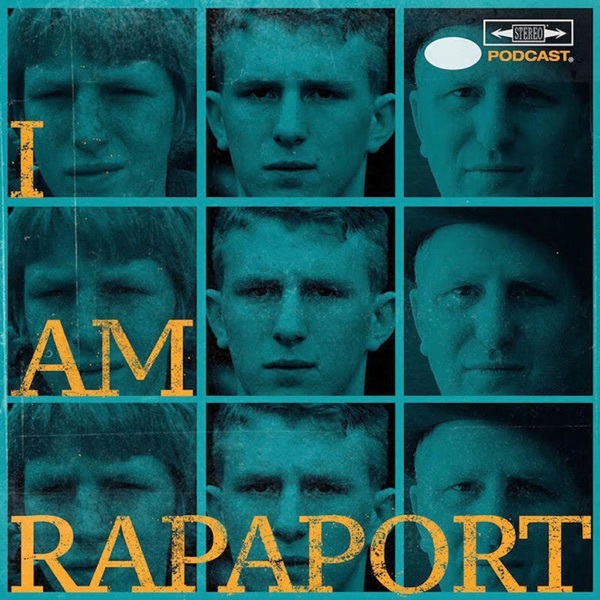 This is a banging brand new I AM RAPAPORT: STEREO PODCAST to ring in the new year with Michael Rapaport aka The Gringo Mandingo aka The White Chocolatito aka The Jake LaMotta of Podcasting to discuss: Going to UFC 232 at The Forum in Inglewood, CA, The Sickest Six of 2018 of I AM RAPAPORT: STEREO PODCAST and the Winner of the 2018 Sick F*ck of the Year, The NFL Playoffs Being Set, Russell Westbrook & Andrew Wiggins Quotes to the media, LeBron James bringing wine to the arena & saying he’s The Greatest of All Time, Kanye West Wildin’ Out, Floyd Mayweather Boxing a Japanese Kickboxer & more. Then it’s an honor & a privilege to have star Shooting Guard Josh Hart of the Los Angeles Lakers on the I AM RAPAPORT: STEREO PODCAST with Michael Rapaport to discuss: Last Year’s Craziness/LeBron James Craziness & his expectation of coming into the NBA, The Los Angeles Lakers Fan Base, Being under a microscope, The Hardest Part about tuning out the naysayers, Growing up in the Social Media & blocking it out, The hectic nature of Lonzo/LaVar Ball in 2017, The bond with Lonzo, Kuzma & himself, Being hurt at the start of his rookie season, Being Josh’s trash talker while he plays Fortnite, The most impressive thing about LeBron James that we don’t see & his work ethic, His first time meeting/hanging out with LeBron, Learning from LeBron James on and off the court, Being around Magic Johnson, what he is to him & talking about the game, Being clutch for Villanova in the 2016 NCAA Finals vs North Carolina & how important that win was, Learning from Coach Jay Wright & buying in at Villanova University, Being a star in Philadelphia, Playing against his college teammates in the NBA His 2017 NBA Draft Class, Going to camps with Kuzma, Knowing Donovan Mitchell in College, When he knew he belonged in the NBA, Having a chip on his shoulder & how/who he learned the game from, Playing against Dwayne Wade & LeBron James for the first time, Guarding Kevin Durant, Biggest Trash Talkers in the NBA, Guarding (and not being able to touch) James Harden, Chasing Klay Thompson, Playing in Madison Square Garden, The Most Hype arenas, His quote on Christmas after the game about not being scared with LeBron being out, What it’s going to take for the 2018-19 Lakers to reach its potential, Lonzo being 20 & Brandon Ingram being 21 & a whole lotta mo’! This episode is not to be missed!